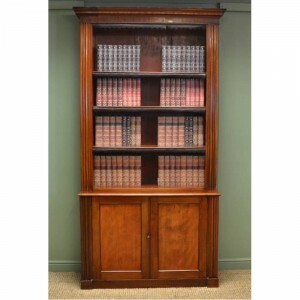 This Large Victorian Mahogany Antique Open Bookcase dates from ca. 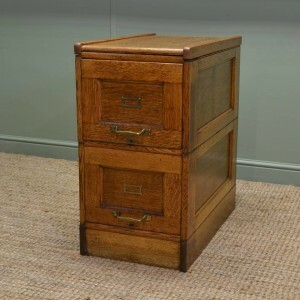 1880 and is of unusual tall slim proportions. 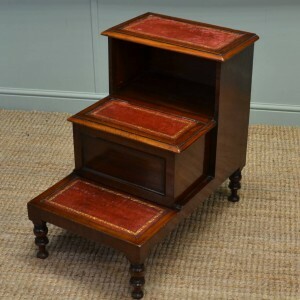 It has a moulded inverted breakfront cornice above five adjustable shelves and stands on moulded feet. 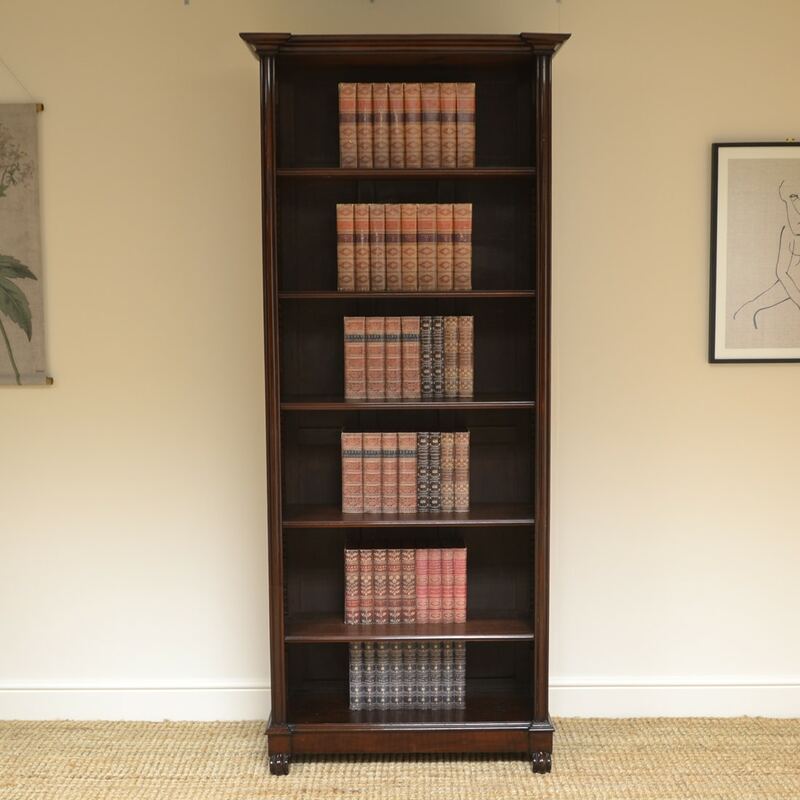 This Large Victorian Mahogany Antique Open Bookcase dates from ca. 1880 and is of unusual tall slim proportions. 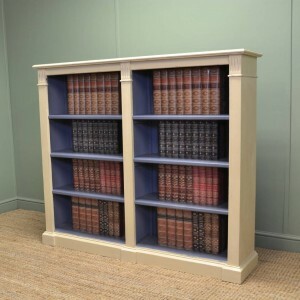 It has a moulded inverted breakfront cornice above five adjustable shelves and stands on moulded feet. 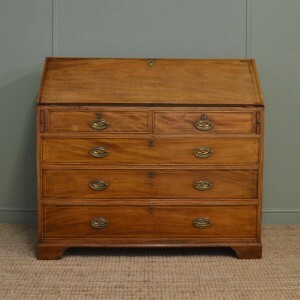 It has wonderful charm and character and has aged to a rich Mahogany shade with a striking grain, good patina, is in very good condition and has been beautifully cleaned using a traditional form of wax finishing.